On Monday 25 June, Nautilus and the Paragon staff organized a successful protest action in the port of IJmuiden. The new owner of Paragon, Borr Drilling Limited, wants to close the former Paragon Offshore office in Beverwijk, threatening the jobs of more than 70 employees working at the office or the offshore platforms. Borr Drilling refuses to conclude a good social plan with the trade union. 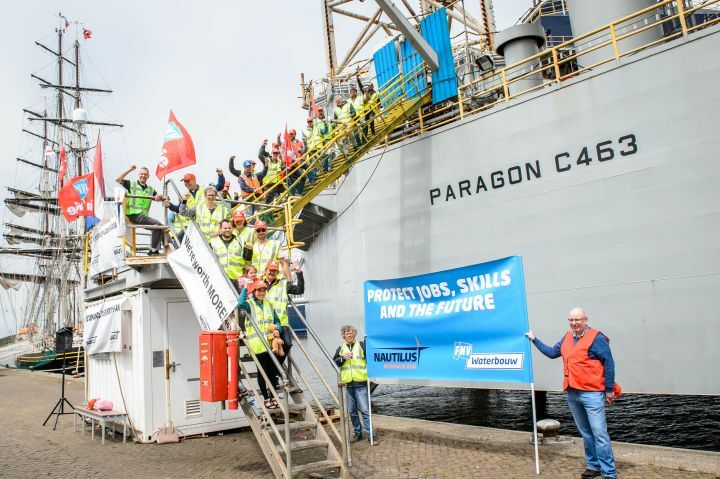 The employees of Paragon therefore massively rejected the last employer’s offer in the port of IJmuiden and demand a good social plan.